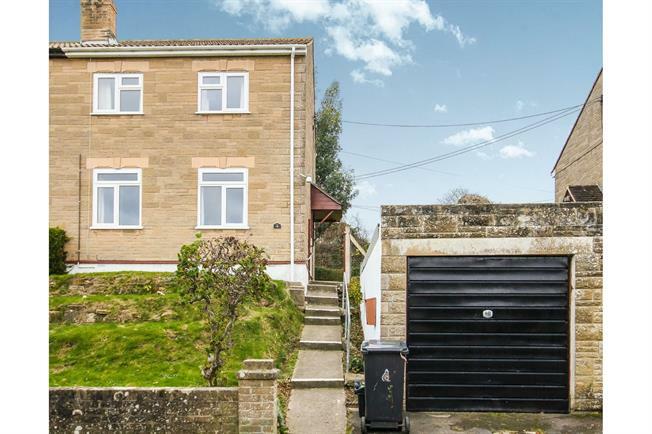 3 Bedroom Semi Detached House For Sale in Martock for Offers in excess of £200,000. Semi-detached 3 bedroom house in an elevated position with far reaching rural views from a elevated position. 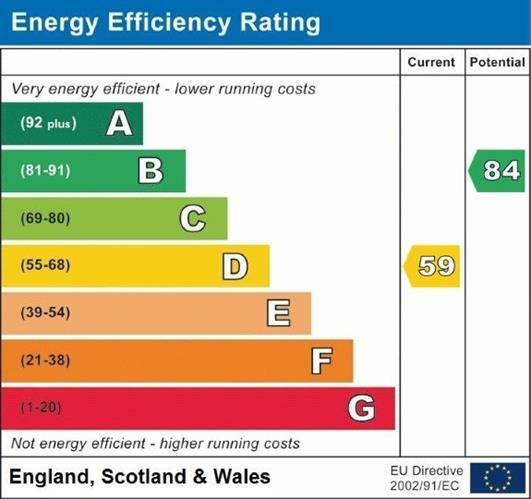 Whilst offering potential for a purchaser to 'stamp their hallmark' on the property a replacement boiler and uPVC double-glazed windows have been installed. Comprises hall with bathroom off, fitted kitchen/dining room, sitting-room with fireplace and views and three first floor bedrooms. Their is an enclosed garden and garage. UPVC double-glazed entrance door with matching side panel, radiator, staircase to the first floor. Twin uPVC double-glazed windows to the front elevation, central tiled functional fireplace, two radiators, coved ceiling. UPVC double-glazed window and door leading to and having an aspect of the rear garden, under-stairs cupboard and shelved pantry. Fitted with a range of Oak fronted base and wall mounted units with laminated work-surfaces, inset double-drainer stainless steel sink unit, tiled splash backs, plumbing for washing machine and dishwasher, electric cooker point. UPVC double-glazed window to the rear elevation, suite comprising panelled bath, wash-hand basin, low-level W.C, tiled splash backs, ladder style heated towel rail, extractor fan. Twin uPVC double-glazed windows to the front elevation with far reaching rural views and a side view to Burrow Hill, radiators. UPVC double-glazed window to the rear elevation overlooking the garden, built in cupboard, radiator. UPVC double-glazed window window to the rear elevation with garden view, radiator. Laid to lawn with trees and shrubs, far reaching rural views and a flight of shallow steps to the front door. Fully enclosed by fencing, laid to lawn with a central path flower beds and borders, shed.